Recently (about 10 days ago) my blog turned 4 years old, which is amazing in many ways. Unfortunately many projects have simply stalled, mostly due to lack of time on my part. I’m still interested in them, but with my kids getting older and demands on my time getting larger it has been difficult finding time to do much. Lately it has even been hard maintaining a weekly post, which should fortunately improve now that the university semester is drawing to a close. So what am I planning? Well not much in the way of changes, but I’ve got many projects that I’ve started and want to make some headway on again. Firstly I’ll be continuing the photography of my main board collection, although these posts take quite some time to research, photograph and write, they’ve been a good way to re-discover what I have sitting in boxes on the shelves. After I run out of main boards I might extend this to other hardware I have, although I don’t think I can write as much about something like an old hard disk. The benchmark project is almost at the end, just that the final measurement on some 386 hardware has become problematic. See here for what happened. I wonder if it is just the particular machine which is the problem, but not having another functional 386 easily accessible makes this hard to determine. I also need to finish tidying up my workbench so I can work on it and future electronics projects. The Micro-professor being one electronics project I really want to get into. I have a rough outline of a memory expansion in my mind, but I need to get some parts together and time to design, build and test. I couldn’t get the loading and saving working via the cassette interface and PC sound-card, so I thought I would include in the expansion design a way for an Arduino to take control of the bus and dump/load the memory of the machine. Software wise I have a pile of projects I’d like to continue, but my home-brew platform game is probably the one I’m most interested in getting some work done. I intend on saving some more disk space by implementing Huffman coding to compress text I have stored on disk, but the bulk of the work required for the game is really designing and building levels and music. 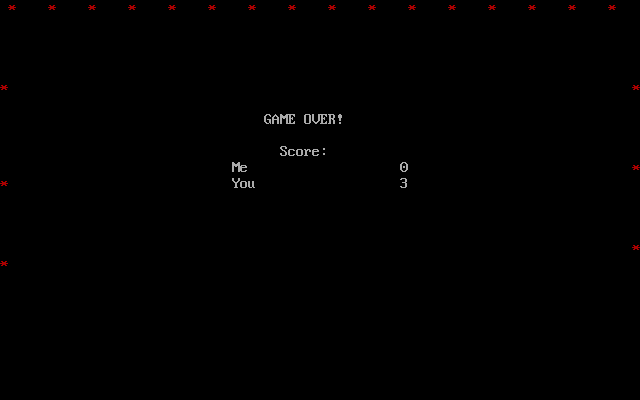 I have a nearly finished gwbasic game that needs some polish to complete, and similarly some level design. Making games is perhaps one of my favourite past times, although I don’t think they are of high enough quality to sell, I enjoy the process of coding, play testing, and designing. 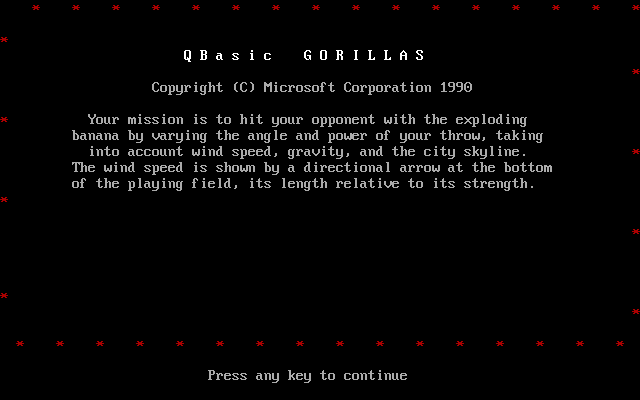 Of course I will continue to write about old MS-DOS games, although I’ve covered most of everything I played as a kid. I like how colourful most games from this period are, many are also simple and easy to play in a limited time frame, which makes them appealing to someone with limited time like myself. In the future I’d like to start writing about the more modern games I play/own such as those from the Windows 95-98 era, but these will take a much larger time investment, mostly as the games are significantly larger. Finally I’d like to thank anyone who has been reading, whether it’s just one page or if you happen to read more. I find it quite enjoyable to write these posts/articles even though I’m not really a great writer. It has also proven to be a good way to connect with other bloggers who have similar interests. 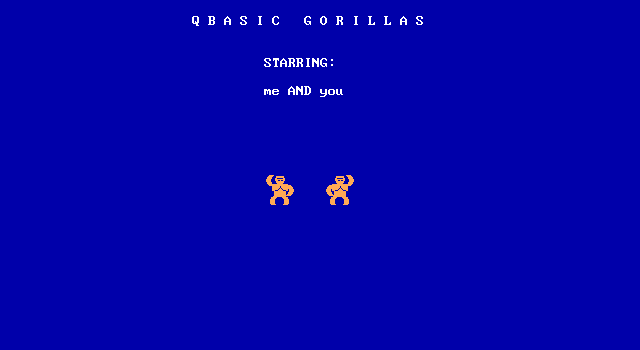 I’ve started to recover from quite a nasty cold this week, so today we’re looking at another obscure MS-DOS game. It’s called Squirmer and was made by Stephen Lee Parker in 1990. It is an interesting take on the standard snake game that later became popular on feature phones. Squirmer supports CGA, EGA and VGA as was common for many games of that time. The graphics aren’t spectacular, but are fine for what they are. The sprites are quite small, so there isn’t much room for detail, but this has the advantage of allowing larger levels on screen. PC speaker is the only sound hardware supported and is ok, but it can be switched off if you find it annoying. The game-play is what makes Squirmer different. The main limiting factor in the game is the time limit rather than the length of your snake. There are the usual food pellets you can eat for points and increased length, but there are also bombs you can eat that will reduce your length. Care needs to be taken to not eat bombs when you’re not very long as that will kill your Squirmer. You can move between the levels freely without restriction. All you have to do is go to the exit for the next or previous level. Your score increases more per pellet at the higher levels, so it can be worth skipping some of the lower ones, but it is worth collecting the extra time along the way as that is usually what runs out. I found Squirmer to be a fun distraction, much like most other snake games, that can keep you occupied in a moment of boredom. However like other snake games you’re unlikely to play it for long bursts as the game-play is pretty much the same every time. It’s a little hard to find, but if you do happen to have it cross your path, it’s worth a quick play.